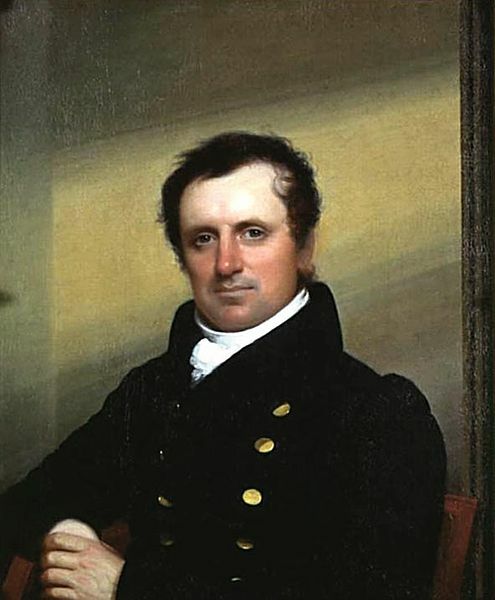 James Fenimore Cooper (1789-1851) was a prolific American writer who spent most of his life in Cooperstown, New York, near a lake surrounded by the Iroquois of the Six Nations. Cooper crafted a unique form of literature writing historical romances about frontier and indian life. He joined the U.S. Navy after being expelled from Yale after a prank in which he blew up a student's door. He wrote historical novels known as The Leatherstocking Tales . His master work is considered The Last of the Mohicans (1826), set in 1757 during the French and Indian War. It gained Cooper fame and notoriety, and remains a standard in most American literature courses. Themes of natural law versus legal rights, implications of property disputes, and contrasting wilderness versus civilization, were common to many of his novels and stories. Cooper's novel The Pioneers (1823), and his short story The Lake Gun, set at Lake Seneca, are well regarded. Cooper spent seven years in Europe at the height of his popularity, before returning to the U.S., where he became obsessed with writing naval histories and seafaring stories into his later years. Cooper died in 1851, considered one of the most popular 19th century authors, influencing the styple of Henry David Thoreau's writing, yet he remained more popular in Europe than at home. Honore de Balzac and Leo Tolstoy admired Cooper's work. One of Cooper's legacies was he was one of the first American authors to incorporate African, African-American, and native Indian characters in his stories. You may enjoy reading D.H. Lawrence's chapters about Cooper in his book, Studies in Classic American Literature.